The African continent has been tipped as one of the key markets in world that has the potential to drive sectors such as; Banking & Finance, Insurance, SMBs across all verticals that include: IT/ITES, Manufacturing, Retail, Hospitals, Education and Hospitality to enhance productivity and growth. According to *astTECS, a leading provider of Enterprise Telecom Technology Products and Asterisk based Open Source Communication Solution an affordable, scalable and collaborative enterprise communication solutions deployment across verticals and organizations will bring in greater operational efficiency for stronger growth. 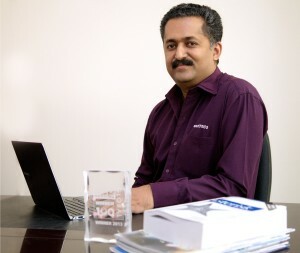 Speaking exclusively to Biztechafrica correspondent Nana Appiah Acquaye during an interview, the Founder and Chief Executive Officer of *astTECS, Dr. Devasia Kurian shared his views on *astTECS commitment in helping to drive Africa’s IT development. BIZTECHAFRICA: What is *astTECS contribution to Africa’s IT development? DK: *astTECS is committed to Africa’s ICT development and playing a key role in driving open source telephony transformation in the region. With robust and comprehensive Asterisk based open source telephony portfolio, that is highly scalable & flexible, we are committed to accelerate the delivery of reliable, high-performance enterprise communication solutions that helps simplify organizations communications infrastructure and reduce costs and operating expenses. Extensive deployment of communications infrastructure and the changing business and ICT trends offer amazing opportunities in African countries. This is mainly driven by high internet penetration, infrastructure deployments, need for video conferencing capabilities, increased no. of smart phones and cutting edge applications. BIZTECHAFRICA: How is the continent responding to *astTECS solution hence its expansion? DK: Organizations across verticals as well as communication infrastructure providers are looking at high performance, secure and reliable communication solution to implement & deliver customized and enhanced services that are quick to deploy at the same time cost efficient. African countries are now aware of the benefits derived through adoption and usage of cost-effective open source enterprise communication systems as we continue to create awareness and consistently strengthening *astTECS presence in new markets. We see a great response to our wide range of cost-effective, highly flexible and versatile communication solution and currently working with quite a few a partners focusing on delivery of value-added technology solutions to customers. The African market offers tremendous opportunities and we are witnessing a significant growth amongst customers in the enterprise and SMB space. BIZTECHAFRICA: How can Africa’s SMEs benefit from *astTECS line of products so as stay relevant on the Market? DK: Our business strategy in Africa focuses on understanding the specific needs of the customers and delivering cutting edge solutions, especially in the enterprise communications segments. Among the small and medium enterprises (SMEs), there is a greater demand of collaboration, functionality and control. *astTECS solutions offers multiple benefits to the SME segment, as it enables enterprises to increase operational efficiencies, improve performance and build competitive advantage – backed by a rapid return on investment and low total cost of ownership (TCO). DK: *astTECS IP PBX solution for Educational Institutions offers intelligent and tailored applications that enables schools, colleges, hostels and universities to extend mobility, improve faculty and students communication, boost productivity and reduce costs by consolidating their communications services into a single platform. With features such as paging, smart phones as extensions within Wi-Fi range, web – based video conferencing & voice blasting, *astTECS IP PBX offers amazing features to enhance communication and user productivity, at minimal expense. The key features of *astTECS IP PBX includes; intelligent call routing and IVR functionality while ensuring better staff, student and parent communication, real-time connectivity between teaching staff through Wi-Fi extensions, directory services and smart-phone integration, announcements through voice blast & paging, multi-party audio and video conferencing, emergency alerts. For students, the IP PBX offers a complete call management suite that includes: time based calling slots, inbound and out bound calling and call duration control, black list; white list, user id and password based calling (hot desking), prepaid & post-paid based calling and complete billing. 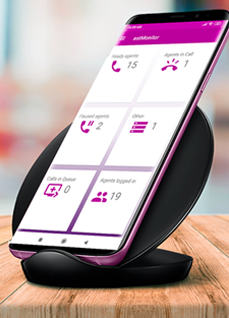 The Mobile App empowers mobile phones to become office extension, allowing employees to stay connected, even when they are not at their desk, thus eliminating the need of a physical desk phone. This shift from traditional wired intercom phones to wireless smartphones, presents amazing opportunity for enterprises to enhance communication and user productivity, at minimal expense. Ensuring seamless communication & engagement between employees and key departments, *astTECS Mobile App optimizes staff efficiency, offering convenient access to information and services in real-time. *astTECS IP PBX Solutions for Hospitals & healthcare Industry offers intelligent and tailored applications that enables hospitals to extend mobility, ensure in-time patient care, enable collaboration and optimize staff productivity & efficiency. *astTECS hospital IP PBX series allowing hospital staff to collaborate with each other ensuring prompt services and personalized attention to patients. The key features of *astTECS IP PBX includes; real-time connectivity between patients and staff through Wi-Fi extensions, smart-phone integration , auto attendant, multi-party audio and video conferencing, emergency alerts, appointment scheduling / reminders and reaching doctors & hospital staff on their smart phones as PBX extension, amongst many others.